The security and monitoring has been one of the major concerns irrespective of where you live. When you are away from home, you always want to know what is going around in and out of our home. CCTV system is a source for protecting your home and your valuables and acts as a sort of evidence in case of unusual incidents. There is diverse change of technology in the camera system and viewing pattern of the clients. With multi-functional camera system, it becomes difficult to select the right camera for your home. Here is brief on what points you should consider while making the selection. The first and most important thing is that you should be clear with respect to the details you are looking for monitoring the system. Do you just want the overview or need deep analytical system. 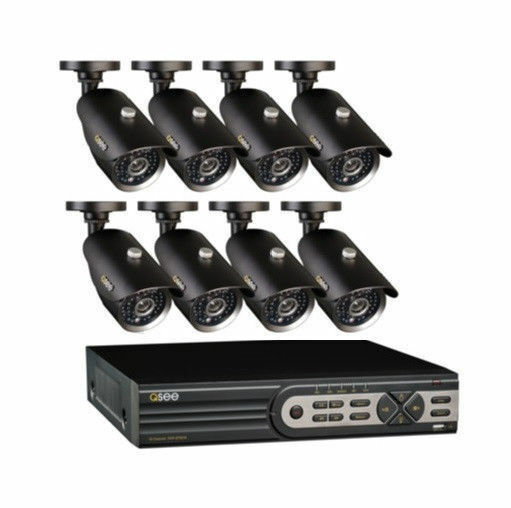 Are you looking for the camera system as deterrent to intruders? Do you want to record the camera besides monitoring the parking areas? Which areas do you want to cover – parking, entrance or child’s play areas? You should be specific in area selection and viewing details. If you require recording, the timespan you want to have the records. Once you are clear, you will require whether you want to go for IP cameras or analogue. Though analogue cameras are passé, the IP cameras have many great features and wide range to select from. You can remotely view the IP camera, control it if they are PTZ, can configure to raise an alarm on movement in specific areas and so on. Moreover they have better quality and have zoom-in features to identify number plates, face recognition etc. Besides selecting the type of cameras and purpose to view, you should look for the reputation of the CCTV Company whilst finalizing it. The company should be one you can trust so that your home and valuables are not exposed to the strangers during installation. A reputed company will give you confidence and help you in future with troubleshooting and services. The service offered is another important criterion. Once the system is installed and online, you will require minor troubleshooting or maintenance. If the company is reliable it will help you in future upgrades also. You should ask for the type of the services offered after installation besides general warrantee/guarantee. Besides having the monitoring system, you can get it integrated with the security system, fire alarm, access control and lighting. This will make your CCTV more fool-proof from intruders and enhance your existing security system. The scope and clarity for integration should be asked for before finalizing and selecting the cameras. The downtime of CCTV system should be minimal and the response time of the company to attend the system should be immediate. If you are away from home, the company should reach the spot to attend the call and fix the issues immediately without any delay. The company should be accredited by various institutions such as NSI (National Security Inspectorate) and should have compliance certifications or UL listed. This is important if you want to present evidence to the police or insurance companies. The right company will be eager to provide the required certifications. Thus, the selection of CCTV solution provider should be based on one who can understand and guide your purpose of installing the camera system and implement it to your satisfaction.